Coffee lovers, this one’s for you. Today I’m looking at the best manual coffee grinders that money can buy. 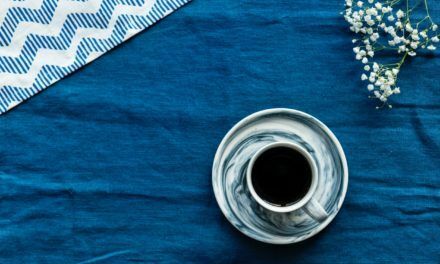 Sure, there are some good ground coffee brands in every grocery store, and you can fix your cup of coffee with minimal fuss. That’s a practical view, right? So why would you get a manual burr coffee grinder? Let me answer this with another question. Do you want just a regular cup of coffee or would you rather have the best cup of coffee that you can brew? Flavor. That’s the best reason for getting a coffee grinder. 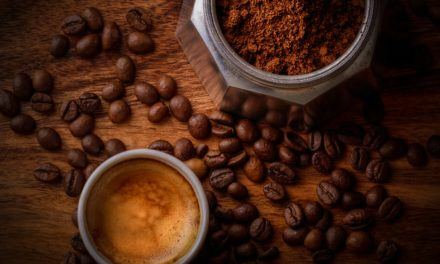 A grinder effectively extracts the oil from your roasted beans, which is the source of that tantalizing coffee flavor. And you can change the taste of your cuppa’ joe by grinding the beans so that they are fine or coarse. How cool is that? Intense debates have been had by coffee connoisseurs over manual versus electric coffee grinders. The electric grinder does the work of the manual one in less time. But a manual burr grinder is in most cases amazing value for money, and even the cheapest models will outperform most electric grinders if your budget is less than $150. And most of them are travel-friendly, hardly taking up space in a bag or suitcase. It actually doesn’t take that long to manually grind some beans. While the time may vary from model to model, on average it takes anywhere from 1 to 3 minutes of grinding to produce freshly ground coffee for brewing. Plus you get to tone your biceps while grinding. Michelle Obama arms, here I come! That’s if I use my manual grinder consistently throughout the day every day for 2 years straight. After plenty of research, I’ve rounded up what I consider to be 5 of the best manual coffee grinders on the market. I’ve highlighted several important points about the grinders which should help you in settling on the perfect hand-crank unit that suits your needs. This manual burr coffee grinder might not be the prettiest or fanciest hand-crank out there, but it has definitely earned its place on the list of the best manual coffee grinders. The grinder boasts a durable stainless steel build with ceramic burr sets. With 18 grinds settings to choose from, this handy appliance gives you very precise control over how fine or coarse you want your grinds to be, so that you can make a decent cup of espresso or French press. There’s a small transparent window on the side of the catcher so that you can see how much coffee you’ve ground. However, the bean hopper is completely covered so you can’t tell how many whole coffee beans are remaining without opening it. The biggest selling point of this grinder is its small size which makes it the go-to manual burr grinder for travel. That means you no longer have to sacrifice your cup of freshly ground coffee just because you decided to go camping, hiking or fishing, making it one of the best manual coffee grinders to carry around with you. The downside of its compact design is that it only holds enough beans for one 12-ounce cup of coffee. So if you want to show off your brewing skills to more than one person, you’d probably want to go with a grinder that can hold more beans or get ready to make small talk while your arm works furiously to grind some beans. This is one of the best manual coffee grinders because it’s durable, efficient and well worth the money. Its stainless steel body makes it less likely to break even when bumped around, making it perfect for use when outdoors. It’s a great buy if you don’t plan on making more than 1 to 2 cups of coffee at a time. There are horror stories about crowdfunding projects that have gone wrong but thankfully, that’s not the case with Handground. This hand grinder looks good and makes a very decent cup of coffee. Beautifully crafted using high-quality aluminum, this beauty makes the list of best manual coffee grinders because of its unusual handle design which turns forward and not clockwise. 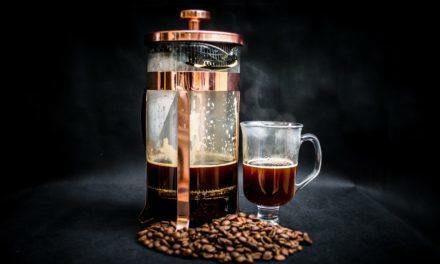 Surprisingly, many people have found that this little tweak does not feel like you’re doing an arm workout, as with other manual burr coffee grinders. The anti-static glass hopper and bean catcher prevent grinds from clinging to the side. The grinder also comes with a slip-resistant bottom which gives it more stability for countertop use. Standing at 5.8 x 3.1 x 8.7 inches, this hand grinder takes up a lot of counter space and is not the best for travel. However, it can easily grind 3 to 4 cups’ worth of beans in one go, so it’s one of the best manual coffee grinders to use when you have company. The Handground has 15 different settings meaning it can handle most brewing methods – from cold brew (super coarse) to espresso (fine). One major highlight is that this grinder produces very uniform and consistent grinds, every time. And you can actually choose a setting and use it again and again – something you can’t do with other manual burr grinders. This is one of the sharper-looking grinders out there that is durable, stylish, and makes great coffee. It’s the best manual coffee grinder for a coffee enthusiast who enjoys grinding their coffee at home and is looking for a good everyday grinder. You can still use it while traveling but it takes up more space than the average hand grinder. If the Handground Precision Coffee Grinder is way out of your budget, the Hario Sketon Ceramic Coffee Mill is the next best manual coffee grinder for you. This manual burr grinder is a basic unit that does a terrific job at grinding. What makes it stand out from the rest is its functionality for such a reasonable price point. Being shorter in stature than the Handground, this grinder sports a large plastic hopper that allows you to grind for up to 9 cups, and a glass bowl bean catcher that is unfortunately not anti-static. This grinder is a Japanese product and comes with a Japanese manual with terrible English translation. While it does an okay job of explaining how to operate the mill, there are plenty of instructions online from buyers who have purchased the product and figured out how to use it properly. The Hario Skerton is easy to operate and produces fairly consistent grounds. However, unlike the previous models mentioned in this article, this machine has no indicators about the coarseness of the grind. And to change the grind setting, you need to disassemble the top portion of the grinder and remove the nut, crank, and locking bracket in order to reach the grind adjustment ring. Because of these two drawbacks, there is a learning curve when it comes to using this grinder. But once you get the hang of it, it can take you less than a minute to grind beans for a cup of pour-over coffee. If you want a low-cost grinder without sacrificing coffee quality, give this grinder some serious thought. This modest marvel is the perfect entry-level manual burr coffee grinder for the aspiring coffee connoisseur. It’s definitely earned its place as one of the best manual coffee grinders in the market. The Zassenhaus grinder is considered to be the ‘O.G.’ of manual burr coffee grinders. This German classic has stood the test of time. Expertly crafted by a company that was founded in 1867, the Zassenhaus Santiago is a stunning wooden grinder that is perfect for the coffee lover looking for one of the best manual coffee grinders and appreciates the authentic experience that comes with vintage-style units. It is made from solid wood and has a stunning mahogany finish. The design has a wooden drawer underneath to catch the ground coffee. The manual crank has a brass finish and an old-fashioned knob for turning it. While this machine works perfectly on a countertop, it’s actually a ‘knee grinder’ since you’re supposed to hold it between your knees while grinding. This is why there’s a slight curve on the exterior of the unit. If you have limited countertop space, then you will love this grinder because it’s only 3.5 inches wide. This grinder gives you a consistent grind every time, and has a large number of grind settings due to its grind size dial. This means that you can grind for every brew method – from espresso to the super fine grind needed for Turkish coffee. It’s no wonder that it’s rated as one of the best manual coffee grinders of the century! Naturally, it is not ideal for travel due to its bulky design. The Zassenhaus is perfect for someone who’s looking for a small manual grinder that is as beautiful as it is functional. It does a pretty good job of grinding coffee and would make a great gift. If you like the look of this grinder, why not give it a go? It’s definitely priced on the higher side but with a 25-year warranty, it seems like a worthwhile investment for one of the best manual coffee grinders that has been around for more than 100 years. You wouldn’t know it from the few ratings on Amazon but this is definitely one of the best manual coffee grinders at the moment. The company behind this well-crafted machine is Taiwanese and they are still new to the Western market. The design of the grinder appears to be inspired by premium coffee grinders such as the Helor 101. It has an aluminum unibody with a smooth finish. The knob for the wooden handle is magnetic meaning it can be taken off for easier transportation. It’s perfectly sized so that you can hold it comfortably in one hand and it’s compact enough for travel. What makes this new kid on the block quickly rise to the top of the list of best manual coffee grinders? The main axle of the grinder is supported on two ball bearings. This makes grinding smooth and fast – at least twice as fast as the no-bearing ceramic grinders that have been previously mentioned. It takes only about 25 seconds to grind beans for two cups of French press coffee. The burr set on this grinder may be its best feature yet. Made from ultra-sharp stainless steel, these burrs go through medium roasted beans like a knife through butter. It also comes with a 12-point dial for adjusting grind settings. 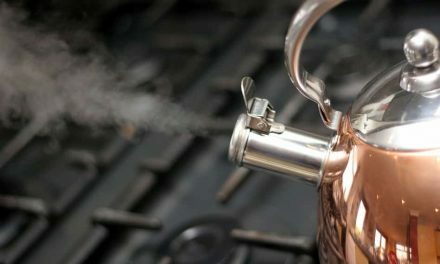 This can be micro-adjusted to allow you to use your brew method du jour – be it Turkish coffee, espresso or French press. Yes, this manual burr coffee grinder is more on the expensive side, but it is money well spent because it’s faster and more consistent than the other models mentioned in the article. Because of its compact size, the capacity of the hopper is only around 20 grams of beans. This is ideal if you’re grinding for one or two persons. If money is not a problem, then this machine is the one to get. It can definitely hold its own as one of the best manual coffee grinders against premium grinders such as the Lido 3. It looks and feels amazing, and delivers incredibly consistent grinds. And the best part is that you can take it with you whenever you need to travel! Sleek, compact designs are great for traveling, but can only make one or two cups of coffee. If you want a coffee grinder for home use that will cater to the coffee demand of more than 2 people, then consider a design that has a larger capacity. 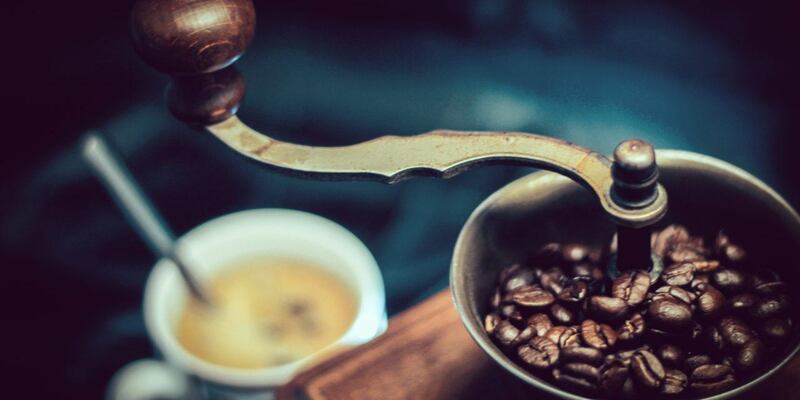 This is one of the secrets behind a delicious cup of java. Choose a unit that has gotten great reviews in this area. The variety of settings allows you to go from pour-over to espresso. You may want to go with a manual coffee grinder that can easily be cranked to achieve the desired setting. Do you need a manual coffee grinder that is sturdy enough that you can bring it on the road? Then you probably would not want a unit that has glass or flimsy plastic parts. No matter what you finally pick as the best manual coffee grinder for you, you’re on your way to more flavorful and enjoyable coffee that’s made all the more special by the addition of your time, labor and love. I think that the best manual coffee grinder is the Handground Precision Grinder because it has a consistent grind quality, it’s ergonomic, durable, and looks really good! Just remember, how you grind your beans affects the quality of your brewed coffee. So respect the beans and grind responsibly so that you can properly enjoy your next caffeine fix.